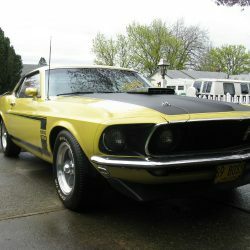 If you are looking to sell a Mustang you can list it here to reach thousands of buyers. We offer a few different selling plans including a free option that includes adding photos. Your used Mustang for sale listing is activated immediately and you can edit your ad at anytime. It's quick and easy! Sell your Mustang Fast and get the best price!! Proven results. Are you looking to buy a late model or classic used Mustang? You will find a wide range of Used Mustangs for sale by owner and dealer. Browse our listings by Mustang generation / category and use the Refine Results filter on right to find the Ford Mustang you are looking for. Welcome to Used Mustangs For Sale! Please login or register to place a listing. Registration is free and easy. Please check our listing rates which include an option to place a free ad. If you have any questions or problems, feel free to contact us.